What is a Neuro Emotional Complex? The primary goal of NET is to resolve mind-body stress either via active subluxation patterns (a spinal correction) or active pulse points (meridian therapy) that are found through a method of advanced diagnosis. NET practitioners find (diagnose) the origins of unresolved mind-body stress using Semantic Response and observations of change in the Manual Muscle Test. The treatment process includes having the patient connect with his “feelings” around a stress-related issue (the memory/physiological dynamic) while a spinal or pulse point correction is made to allow the body to extinguish the unresolved stress response. 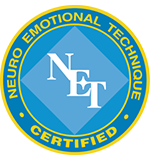 This correction process requires entering into the Neuro Emotional Complex (NEC) to provide a quick resolution. NET defines the NEC as “a subjective mal-adaptation syndrome adopted by the human organism in response to a real or perceived threat to any aspect of its survival.” It is important to note that all memory events in an NEC are considered “Emotional Reality” because these events may or may not correspond with actual or historical reality. For example, some NECs may be associated with imagined emotional events such as misconceptions or nightmares. NET practitioners determine which stress factors within the Walker’s Home Run Formula model are contributing to the patient’s presenting condition. These factors could fall in the categories of: 1) Emotional mind-body stress (NET), 2) Toxic stress (homeopathic), 3) Biochemistry stress (nutrition), and/or 4) Structural stress (physical correction by a practitioner licensed to do body work such as a Chiropractor and Acupuncturist). When the Manual Muscle Test finds associated weakness in any of these four categories, the practitioner determines which application (NET, homeopathy, nutrition or structural correction) is needed to correct the weakness. When the appropriate intervention is achieved, the previously weak Manual Muscle Test will now test strong. Re-examination on follow up visits determines if the initial stress factors are stabilized. Body-related manifestations of stress include all kinds of conditions, such as chronic and acute physical symptoms, pain of all types, organ dysfunctions, neurological problems, musculoskeletal and immunological conditions, allergies and much more. Mind-related manifestations of stress include conditions associated with phobias, depression, anxieties, ADD / ADHD, nightmares, disruptive behavior, public speaking fears; emotionally engendered cognitive distortions and many other problems.